If you haven’t already done so, visit my article “An Inside Look at Getting Started on Instagram” before you continue reading this. There are many key ideas you need to implement there in order to maximize the information here. 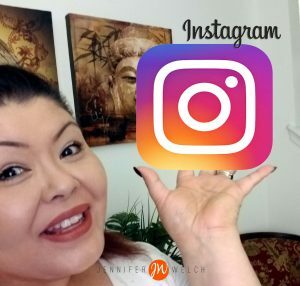 Now that you understand the basics of getting started, be sure to follow me on Instagram @jenniferwelchentrepreneur to get a real life perspective on how you should run your Instagram profile. Keep in mind, you do not need professional pictures; but, you want to make sure the pictures you post are attractive and clean to get the best response from your target audience. What type of people are you trying to reach? Who are you trying to market or appeal to? Who is that picture or caption you’re posting speaking to? Write three things that embody who you are as a person and describe best who you are. Your #hashtags must embody who you are and the story you portray in each of your picture posts. The people who you are trying to attract in your feed pick things about you that stand out that you will use to connect to these #hashtags. Connect with people who share the same things as you do through these #hashtags. Teach your ideal customer how to use your goods, products and services; then tag relevant #hashtags to your target audience. For example… if you’re looking for someone who helps people with their appearance, it could be a #personaltrainer or #makeupartist; someone who helps people with their health might be a #nutritionist, #nurse, etc. Create content and properly #hashtag that content with your end user or ideal customer in mind. People every day are using #hashtags in their content. That means they want to be found; so, go find them and go engage them. Compliment them on what they’ve shared and make sure once again that you’re genuine in your reply to them. Experiment with captions. Good captions that connect and engage are a huge attraction. Another great method to get exposure that you will definitely want to use is engagement groups (DM groups). An engagement group is a set of people that you notify either by direct message or via a Facebook group when you have a new post. Each member of the engagement group will go to your post to like and comment as soon as possible – within 60 minutes. This gives you a base of comments and likes to push your post higher. Getting people to like and comment on your photo right away will allow more people to see it. This causes your rank to grow higher, giving you more chances to get on the ‘Explore’ page and get even more followers. Usually you have up to 15 people in an engagement group made up of people with small and large followings. Start engaging with people once you have published your first five to ten posts. You can either ask permission to join a group (harder) or create your own group and ask people to join (easier). It’s best to start a group with people who have the same or similar number of followers. As you grow your following you can create new groups of people with more followers. Having someone like and comment your post who has 100,000 followers is much more powerful than someone liking your post who has 1,000 followers; but, you have to work up to that. Eventually you’ll want to have 30-50 engagement groups. Follow other people who are commenting and liking your posts and don’t be afraid to follow and comment on your competitors posts because they are the most engaged people who are commenting and interacting. The most engaged folks are who you are looking for. Then, you should notice that a flood of people will start following your account. Your whole goal is to get on the ‘Explore’ page and to get more people seeing your post. The greater number of people commenting and liking your posts will make your rank grow higher on Instagram which will work hand-in-hand for the #hashtags you post with your pictures, thus giving you more and more people finding you and checking you out. In general, people are multifaceted and we get so caught up in sharing with everyone everything we do. 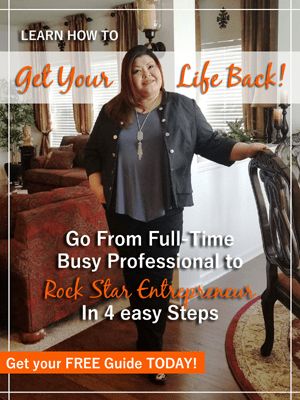 We come off as a jack of all trades; but, an authority and specialty to nothing, partly because we tend to confuse our target audience as to what it is that we do. It is so very important to create a different account for each topic you are going discuss so that you don’t confuse your target audience. To do this, create a new email account through your provider, like Gmail. A good idea to create a name is to use your name and the subject or purpose of your Instagram account. The subject should reference a topic that attracts prospects. By doing so, you want to make sure that you are authentic. It’s not about the quantity of info but the quality of info and how you stay true to the topic. So if you are all about recipes and then you throw a picture about knowing car parts, you will confuse your target audience. So staying engaged with people and interacting with them on a topic that they find very interesting will get them to connect to the info and they will start tagging other people. Likewise, when you go to the ‘Explore’ page with similar types of content of things you’ve liked, be sure to avoid liking things that are not relevant or relatable. Create an editorial calendar where you can track and plan your social media projects. Look for top Instagram profiles online in your niche expertise. Do some competitive analysis. Find 20 profiles in your niche that have large followings and plenty of engagement. Pull out the best content themes. Use them and create your own editorial calendar. Determine days which you will work each project or topic. You want to post no more than three to five times a day at the same times every day. 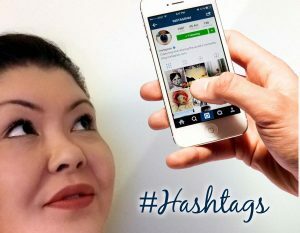 Usually you want to post during prime time and during high traffic times, attaching from 10 to 30 #hashtags relevant to your one picture post. It takes time but working this every day consistently will render you a tremendous following. Once you’ve practiced the topics here and have gotten into the process of posting, searching, and commenting, look for my upcoming article “Methods for Growing Your Instagram Following“.